German Federal Finance Minister, Wolfgang Schäuble, envisions that the Euroland has to assume control to relieve the local politicians of the need to raise taxes further. 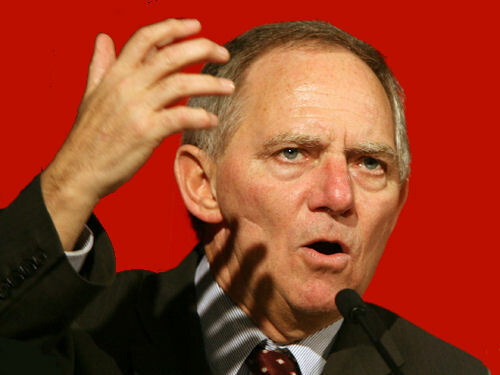 Apparently, Wolfgang Schäuble plans for a euro tax and German money would then flow directly to Brussels. The more Euroland fails, the more power they take in an attempt to prevent the inevitable.